University of Missouri senior J’den Cox did something on Saturday night in St. Louis that no other athlete in the history of the school has done. Cox won his third career national championship by beating Minnesota’s Brett Pfarr in the 197-pound championship at the NCAA Division 1 Wrestling Championships. The hometown hero from Hickman High School in Columbia, Missouri has now won season-ending championships in 7 of the last 8 years. As a senior in high school he became the first Columbia prep wrestler ever to win four state championships. He won them at 171, 215, 220 and Heavyweight. Each of his championships in college has come in the 197-pound class. Back in 2014, Cox became the first true freshman in program history to win a national championship. His win Saturday night at Scottrade Center partially avenged his fifth place finish at the 2015 Championships in St. Louis. Cox is also a four-time All-American and a four-time Mid-American Conference Champion. At the 2016 Summer Olympics in Rio, Cox also brought home a bronze medal. 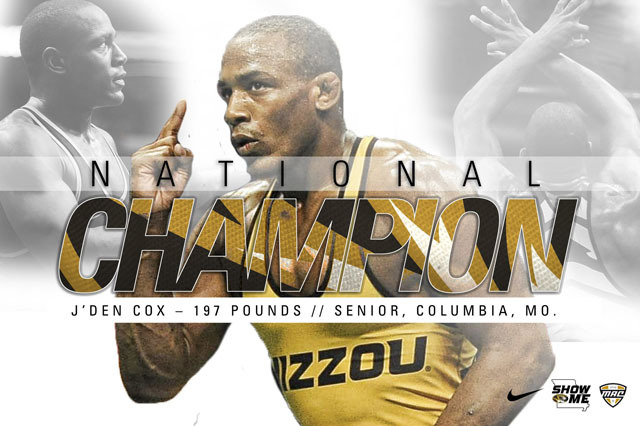 J’den Cox may not be done yet at Mizzou. He has talked about playing football next year. Missouri head coach Barry Odom has said he’s open to having Cox in the fall. He was also a two-time all-state linebacker in high school after all. Disney’s live-action remake of Beauty and the Beast hit theaters over the weekend in a big way. The film had one of the top debuts domestically of all-time with an estimated $170 million in ticket sales. 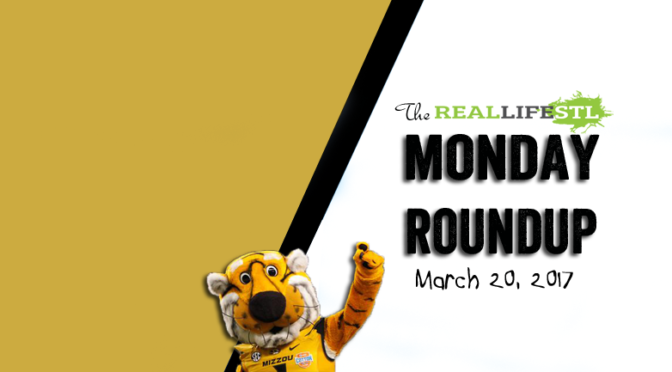 Be sure to check back to RealLifeSTL on Thursday for my Weekend Movie Guide. It’s a big weekend in theaters this weekend as Power Rangers, Life and CHIPS all open. With UCLA beating Cincinnati in the nightcap last night the Sweet Sixteen field is set in the 2017 NCAA Men’s Basketball Tournament. 11-seed Xavier is the lowest seed left in the field. 8-seed Wisconsin and 7-seeds South Carolina and Michigan are also suprise teams left alive. Games resume on Thursday evening with Michigan playing Oregon, Gonzaga taking on West Virginia and Purdue playing Kansas. Xavier and Arizona will close out the evening. On Friday, Butler kicks things off against North Carolina. Baylor will make your eyes hurt against South Carolina. 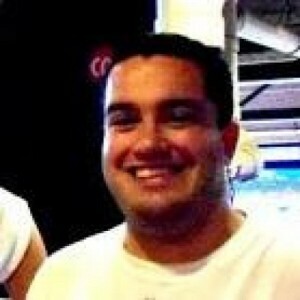 UCLA battles Kentucky and Wisconsin plays Florida. The college careers of Lindsey Cunningham, Lianna Doty and Sierra Michaelis came to an end last night as Missouri lost to Florida State in the second round of the NCAA Tournament. Florida State connected on seven of their 14 three-point attempts and used a strong third quarter run to beat Mizzou 77-55. Sophie Cunningham led Missouri in scoring with 17 points. The Saint Louis University Billikens saw their season end yesterday with a 71-52 loss to Indiana in the second round of the Women’s National Invitation Tournament. Sadie Stipanovich ends her Billiken career as the all-time scoring leader with 1,585 points. She’s also in the SLU record book for her 890 career rebounds, which ranks 2nd all-time. Her 284 rebounds this season is the highest single-season total in program history. Coach Lisa Stone’s team ends the season with a 25-9 record. Jackie Kemph led SLU with 11 points yesterday. With 506 points on the season, she becomes the first player in program history to top 500 points twice in a career.